Driving school Bossley park ,is a friendly tea m of highly experienced driving instructors who will guide you on your path to your full licene. Our young and dynamic male instructors are patient and professionals. 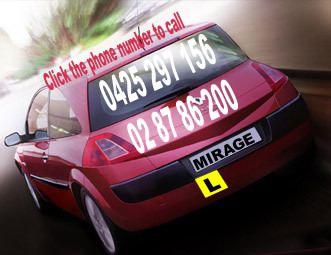 Mirage Driving School in bossley park has been operating for over 12 years in the Sydney area and is available for lessons in many suburbs including Bossley park . Mirage Driving School is committed to helping their students learn to drive safely and carefully as well as gaining confidence in their own driving skills. Whilst it is extremely important to know all of the road rules and be able to successfully tackle the technical side of driving, it is very important for a student to gain confidence in themselves and their ability to handle a vehicle on the road in any driving situation. Mirage Driving School strives to build this confidence in each of their students, whether they are young or mature age students. We quickly assess your skill level and tailor your driving school bossley park driving lessons to address your individual needs. driving confidently and competently in no time. Our service and approach is second to none. One-on-one tuition from our experienced driving instructors ensure results come fast. Once you're behind the wheel by yourself, it can make a huge difference . Teach low-risk driving techniques, including hazard reduction and crash avoidance . 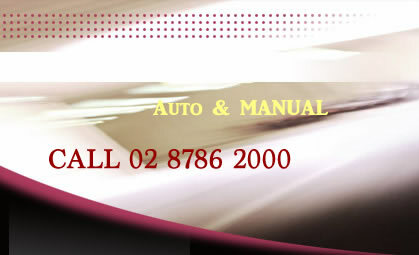 MIRAGE Safer Driving School Bossley Park- is the safer way to get a driver’s licence, in less time.